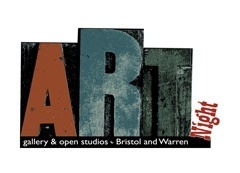 The East Bay Chamber of Commerce has partnered with Bristol Warren Art Night to further support the local arts. Artists, photographers, fiber artists, and painters are invited to showcase their pieces in our newly renovated community room. The space utilizes STAS picture hanging systems, and can accommodate up to 60 lbs. per cord. Dozens of community groups and businesses use this space each month for meetings and seminars. Learn more about our partnership with Bristol Warren Art Night, including the Chamber's studio membership, here. Reasons to support the local arts initiative are many. We've pulled together a quick Top 10 list, courtesy of Artusa.org. See a reason we missed? Email us.